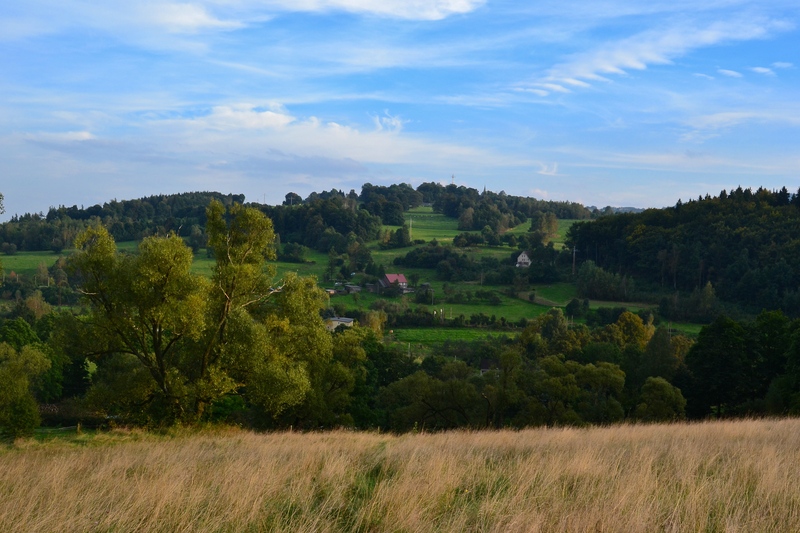 Hill walking in Janowice Wielkie, Poland. But what does that even mean? If you are born in Scotland, you’re most likely just Scottish, if you’re born in Poland, there’s an even better chance you are pure Polish. To David, people from America are simply Americans. And I see his point. Because if you’re not from America, it’s probably not something you sit around the dining room table discussing – the percentages of your heritage pie chart. When I was in 6th grade, my entire class participated in this musical where we all dressed up as immigrants from 1892, fresh off the boat (like, literally) from whatever country was on our character card. The card contained our name, some facts about our family, why we made the treacherous journey across the Atlantic, and our bill of health. If we had the unfortunate card containing influenza or rubella or measles or something, we had to do our best to hide our illness (stifle a cough, discretely wipe our runny nose, avoid eye contact) so immigration wouldn’t get suspicious and boot us off Ellis Island, back to the lands of oppression. The only two songs I remember are one describing America as ‘The Great Big Melting Pot’ and the 1944 version of ‘This Land is Your Land,’ i.e. the one that doesn’t question whether this land was actually made for you and me, the one that definitely knows it was. 50% Polish (Dad is pure Polish). The rest is fuzzy. Grandma Williams was 75% Norwegian and 25% Dane. 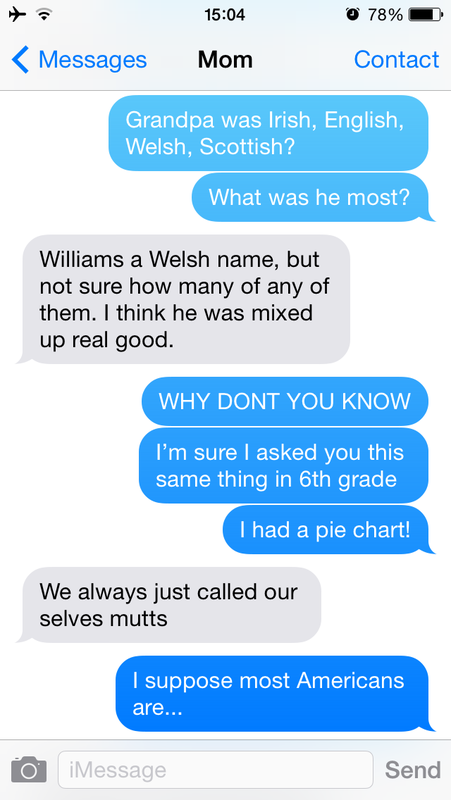 Grandpa Williams was Scottish, English, Irish and Welsh, unverified percentages. Ever since then, I considered myself Polish. When I went to Turkey and the street vendors asked if I was Turkish, I proudly replied I was Polish. In Greece when the bartender thought I was Greek? No, no, I’m Polish. It’s funny how nervous I was to even go to Poland. 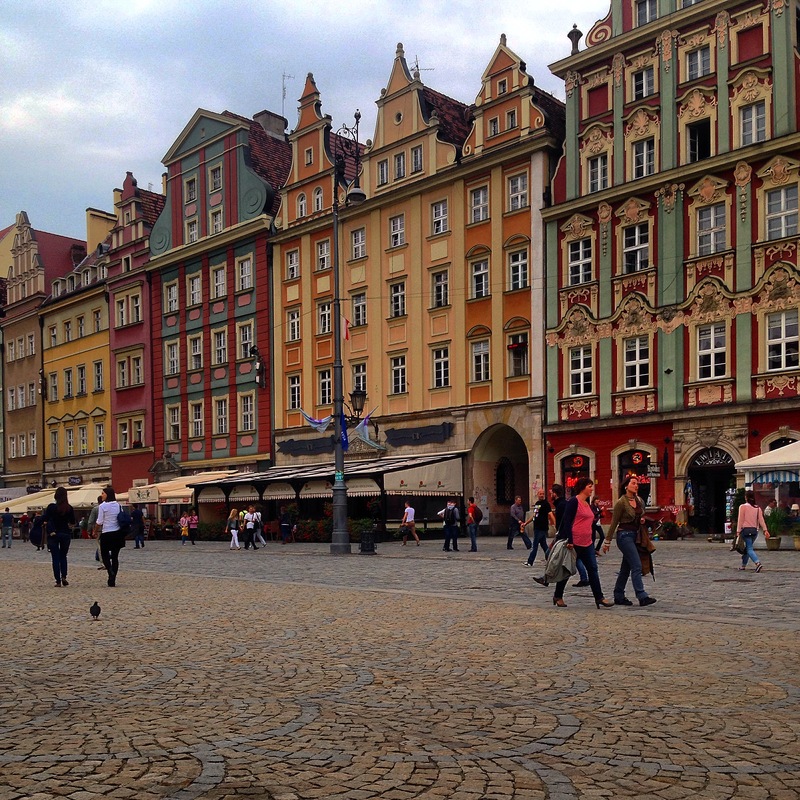 It’s easy to be Polish from afar, but what would it be like to be Polish in Poland? Like, what if they don’t like me? What if I don’t like them? What if it’s ugly? What if we just don’t get along? What if we have nothing in common?? What if my whole life is built on false beliefs??? Excitement of making it the Motherland, mixed with apprehension of ridiculous possibilities. Then I got to Poland. Wrocław, Poland. Normal stuff. Mothers pushing prams, old ladies selling vegetables in the cobblestone streets, a man trying to help his friend stay upright on the bench while two men of the Policja monitored the situation a few steps away. A military celebration taking place in the middle of the old town square. Friends, family, couples, actually, everyone enjoying an almost afternoon beer. Speaking Polski. Living in Polska. Oozing Polishness. And I felt like a fraud. I’m not from Poland. I’m not even really Polish. I grew up in the middle of Wisconsin, USA. Speaking English. Living in America, Oozing Midwesterness. These people were Polish. This is what it means to be from Poland. Me? I was just an American in Poland. Not that I am complaining. It might not exactly be the same Land of Opportunity it once claimed to be, the streets may not be paved with gold, the Land of the Free might have some discriminatory fine print, the Home of the Brave might also be the Home of Some Cowards, but dammit, I love America. We’re a nation of immigrants. We’re everything and nothing. We’re a melting pot, a salad bowl, a buffet, whatever metaphor you see fit. But how many years will it take before American becomes a part of a 6th grader’s heritage pie chart? Will that ever happen? Maybe when the slices of the pie chart become so tiny that we can’t physically write the country in the slice, and oh what the hell, let’s just call ourselves American? So yeah, until then, we are what we are: 50% Polish, 18.75% Norwegian, 6.25% English, Danish, Welsh, Irish and Scottish. I am, by no means, trying to diminish my heritage. My Great Grandma Mleczko? Born in Poland, immigrated to the States, spoke Polish only? Definitely Polish. My sweet, hardworking, Grandma Kowalski and (great) Auntie Frances, who made us authentic Polish dishes and delicious treats? Polish, yet also, American. My Dad, who grew up in a world where to fit in, it wasn’t exactly cool to be Polish? Still Polish, but let’s face it, pretty American. 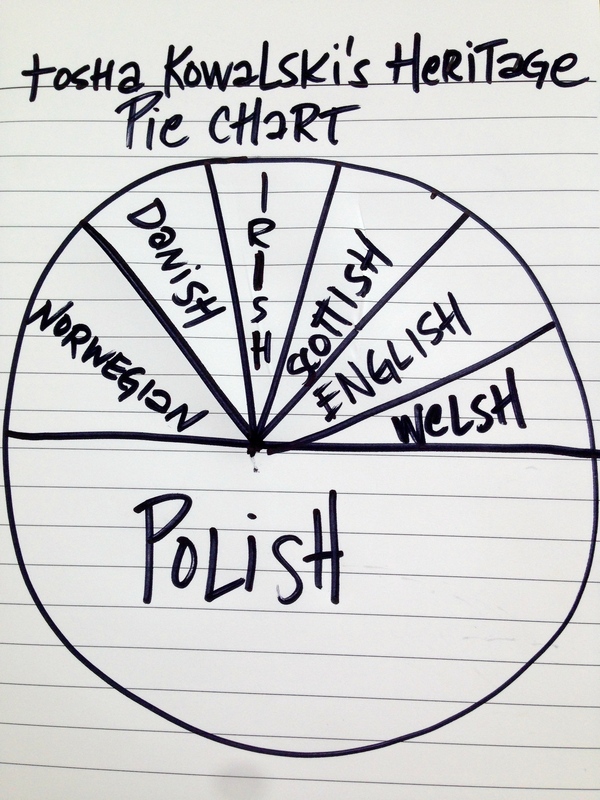 But what’s so inherently Polish about me? Looking a bit Eastern European? The fact that I too, enjoy delicious beer and have unparalleled day drinking skills? My last name? My Polish tattoos? So when I got to the tiny village of Janowice Wielkie, hidden in the hills of southwestern Poland and the location of my next volunteer gig, I powered up my computer and opened Rosette Stone, Polish edition, the one that my Dad and I have had in our possession, unused, for way too long, with renewed motivation and purpose. I may not be that connected to my Polish roots, but it doesn’t mean I can’t make an effort. Because you know what? I want to be American and Polish. Lucky for me, they say you can be whatever you want to be in America. You know, if you put your mind to it. You can add German to your pie chart. 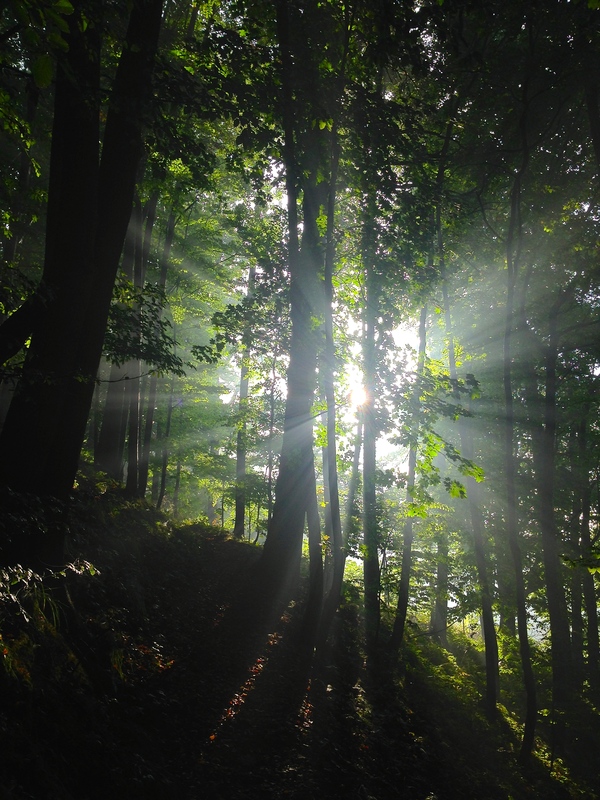 There were Huffnails in Grandpa Ben Williams’ tree, or was it Grandma Nell’s? But definitely German, so said Mom. I thought I felt incomplete. So that was what the mooooooom was for early this morning. And here I thought I was in deep do-do or some such thing. Well, I don’t want to be slandering the family name. Facts or sort-of-facts-because-no-one-we-know-knows-any-better only!